Roger Andrew Harper (b. 17 March 1963, Georgetown, Demerara, Guyana) is a former West Indies cricketer turned coach, who played both Test and ODI cricket for the West Indies. His international career lasted 13 years, from 1983 to 1996, and he was later described as a "fabulous" fielder. 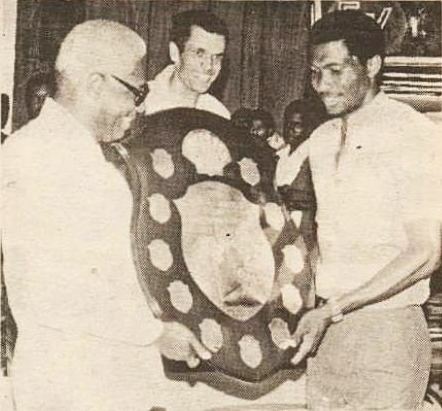 His Test bowling average of 28.06 is superior to that of Lance Gibbs, giving him the leading average among all West Indian spinners with at least 25 Test wickets. One of his most notable performances was against South Africa in the Quarter Finals of the 1996 Cricket World Cup when he took 4/47 to allow the West Indies to seize control of the match. Harper was an all-rounder who batted right-handed and bowled off breaks with his right arm; as a player, he recorded 535 runs and 46 wickets in his 25 Tests, and he played 200 first class matches. After his playing career, he became coach, taking over the West Indies team between 2000 and 2003, and then as team manager of the West Indies youth team in 2005. However, he was approached by the Cricket Kenya in late December 2005 with an offer of taking over the Kenyan national team after interim coach Mudassar Nazar, and the appointment was made official in January 2006. Harper said it "was great to be back" coaching players "at a relatively high level"